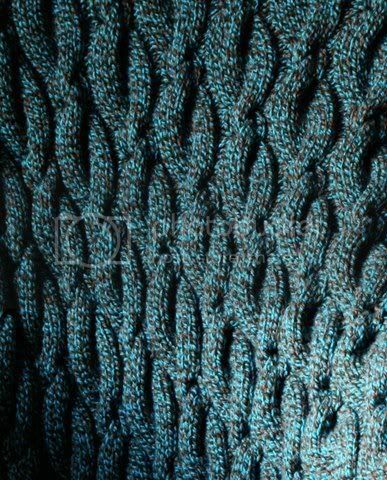 Craftster Community > KNITTING > Knitting: Completed Projects > Massive Cabalage! I'm so excited I can finally post this! This is an afghan I made for the recent make a friend swap and sent off from NY State USA to Victoria Australia to my new friend there! She finally received it and snuggled up with it so now I get to share! I ran into the display at the store and that yarn fell in my cart, the free rip off was on the side and I knew it was just meant to be! It really is beautiful! And oh so lovely to snuggle under! Thanks again Bug! gorgeous! great work. 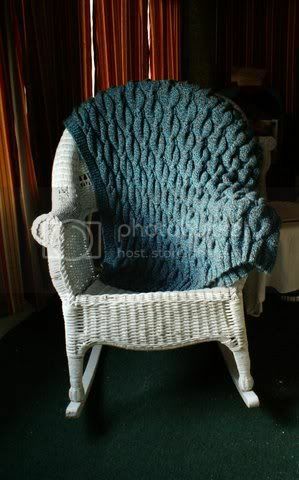 and lucky swap recepient--there is nothing quite like a cabled afghan. It looks really teal-ish from a distance, I clicked the thumbnail because of the colour. Oh, and I used that one before "no no, I only went shopping for some milk, this wool just fell into my basket"
I'm a nose and a smelly one at that. Yeah, that's right, my name is Mrs. Rose Bloom. Beautiful knitting and beautiful colors! It's absolutely stunning! You did a great job. suc beautiful work. I'm sure she loves it very much! Thanks for the comments everyone I am just so happy it was finished and not frogged along the way! I love this. Lucky swap partner.